Dan teaches seminary-level church music courses, focusing on social justice hymnody, through the Center for the Arts, Religion and Education, affiliated with the Graduate Theological Union, Berkeley, California. 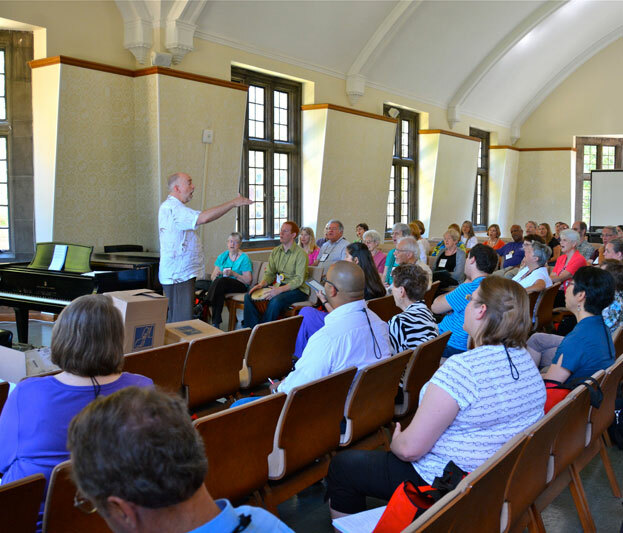 Dan has led workshops in church music at Scarritt-Bennett Center in Nashville, at national United Methodist gatherings, and at annual meetings of The Hymn Society in the United States and Canada. In his local parish, Dan actively seeks to enliven congregational singing through teaching new songs and hymns, and creative hymn leadership from the piano. He also teaches piano and hymn writing to selected private students.